New volunteers, retired couple Alice and Joe Colella, spend one morning a week performing multiple tasks at Beeghly campus. Alice and Joe Colella see their grandson in many of the children they meet as volunteers at Akron Children’s Hospital’s Beeghly campus. Their daughter’s son, Aiden Thompson, was treated in Akron after being born without a fibula bone in his left leg. 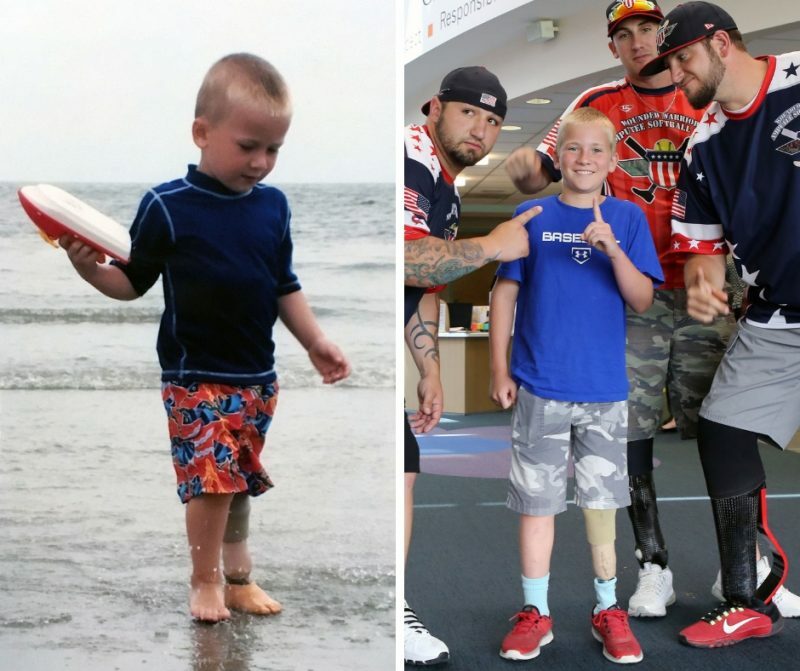 He ultimately had his lower leg amputated and was fitted with a prosthesis at 13 months. Just 2 days later he was sent home to finish his recovery without ever needing a day of physical therapy. Today he’s a healthy, active 13 year old who plays on his middle school’s 7th grade basketball team. 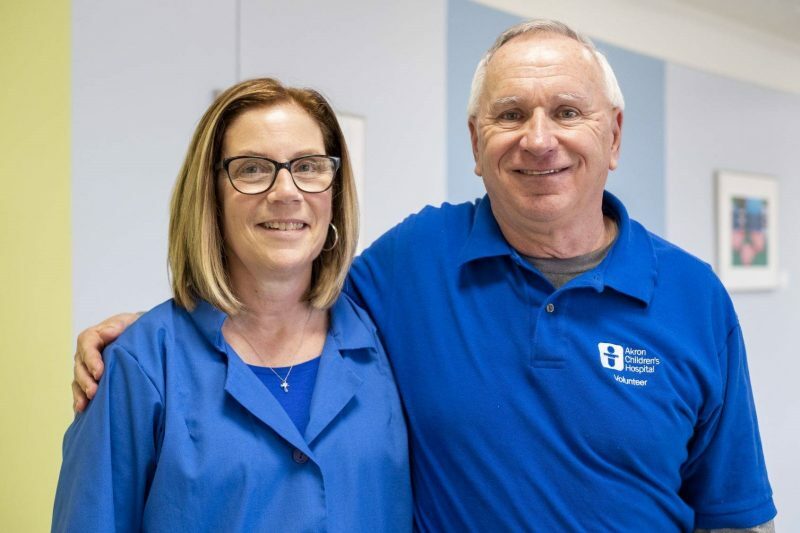 The Colellas, who raised their family in Poland, Ohio, and now call Columbiana home, started volunteering at the hospital in January 2019. “Another thing that appealed to us is that it was something we could do together,” said Alice Colella, a retired first-grade teacher at Poland Union Elementary. 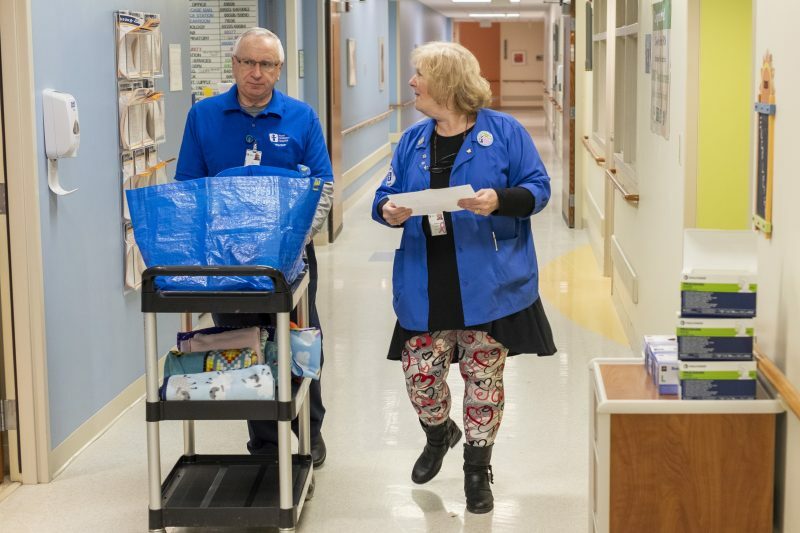 Alice and Joe spend their Tuesday mornings at the hospital delivering books, games, pajamas and blankets to the inpatient floor, ER and cancer center, as well as help with the mail. Their greatest joy is interacting with the kids. “For me it’s about being able to bring a smile to either the parent or the child’s face,” Alice said. “And make them feel more comfortable,” Joe added. 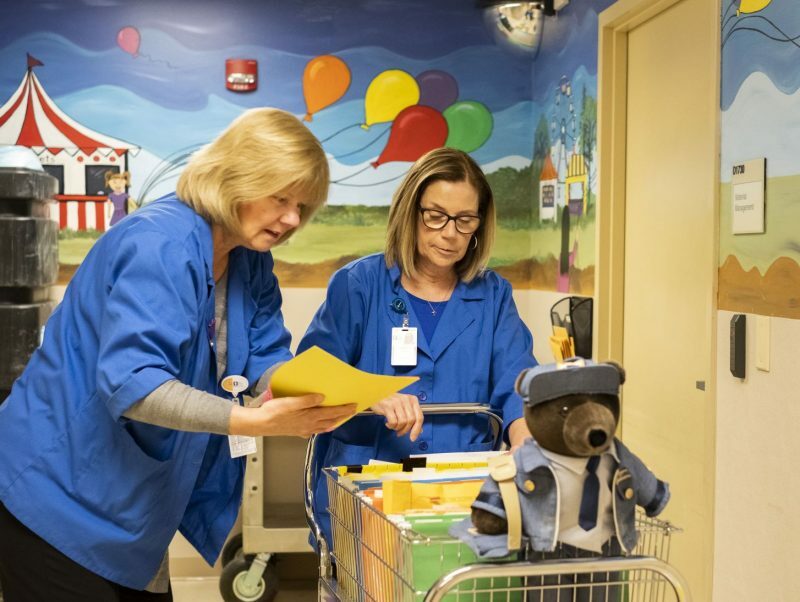 Beeghly campus volunteers Joe Colella and Marijo Lendak find the right book and toy for each child in the inpatient unit. Alice has spent a lifetime raising her own kids and working with children as a first-grade teacher at Poland local schools. She encourages others to consider volunteering as a rewarding way of giving back to the community. Part of Alice Colella’s (right) role as an Akron Children’s volunteer is sorting and delivering mail to the units. Here, she teams up with fellow volunteer, Liz Zelinka. Joe is among the few males who work in this capacity at the hospital, but sees no reason more men his age couldn’t do it. “When you bring a book or a toy to a child and it brings a smile to their face, it doesn’t matter if you are a man or a woman, you realize how worthwhile of an opportunity this is,” he said. Volunteer placement is based on current position openings. Once accepted, all volunteers are required to attend an orientation. Our volunteers receive hands-on training for their assignment. To learn more about volunteering at Akron Children’s, call 330-543-8424 (Akron campus) or 330-746-8350 (Beeghly campus).